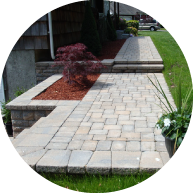 Longo's Landscaping & Masonry, a family-owned company since 1980. 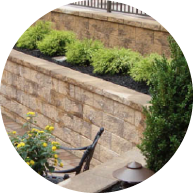 Longo's is committed to excellent masonry and landscaping construction. Specializing in driveways, walkways, patios, retaining walls, waterfalls & ponds. 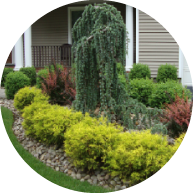 With over 20 years of experience, our Long Island landscaping company prides ourselves in making your home in Suffolk or Nassau County area more appealing. Nick Longo established Longo's Landscaping Inc. in 1980 as a small lawn maintenance company servicing about 20 homes. As the years passed our business grew by a generous amount of referrals and as the new millennium came upon us, Longo's Landscaping Inc. grew into a family run business with over 20 employees and over 250 residential and commercial landscaping accounts. 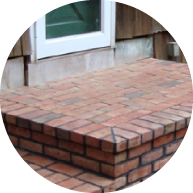 But not only the maintenance accounts increased we also expanded our business into landscape design and Long Island Masonry Company. Our landscapers are both experienced and creative in the work that they perform. Each landscape design is specifically done to our clients needs. As you scroll through our gallery you can see the many different services we offer. Many people mistakenly consider a landscaper to be little more than cutting grass. In reality, landscape design encompasses far more. It can include complex shrubbery design, incorporating masonry designs and more. Better still, when done properly and with care, Landscape design can have important benefits for your property. This can take the shape of increased property value or simply, just a gorgeous outdoor landscape that can make your property the best on the block. Browse through our site to see the different services that we offer. Whatever your motivation, here at Long Island landscape design company, Longo's Landscaping we have the talent and expertise to complete any project. Fully servicing all of Nassau and Suffolk County, we have been satisfying customers for over 25 years with a unique blend of hard work, expertise and the best customer service in the business. We do not juggle projects, so to speak. Instead, we focus on the job in hand until our customers tell us that they are satisfied with the project. 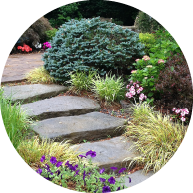 Though we have expanded into a multi faceted landscaping company since our inception in the 80s, we still hold landscaping as a main staple of our work. 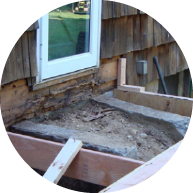 Over time, we have perfected our skills in the business, a major reason why so many New York homeowners hire our services every year. We would be grateful to have you be the next. 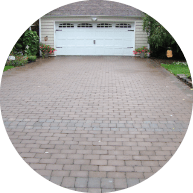 You can try our driveways and walkways services to provide more curb appeal to your exterior with Paver borders and unique designing ideas. Our exclusive landscape construction services can transform your dream outdoor idea into a reality. 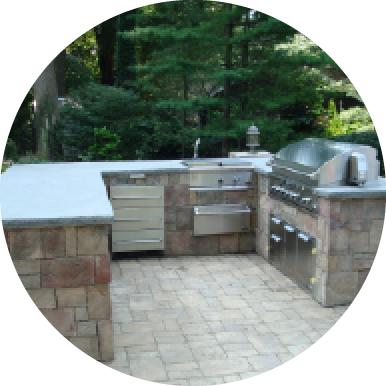 Outdoor kitchens can improve your entertaining space, and nothing is more exciting than cooking in the outside and spending quality time with family and friends. 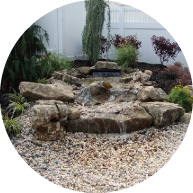 Waterfall installation services will help you to create a natural look to your landscape and transform your backyard waterfall into an oasis. We give importance to each phase of the project directly from pre-designing to the construction and installation. 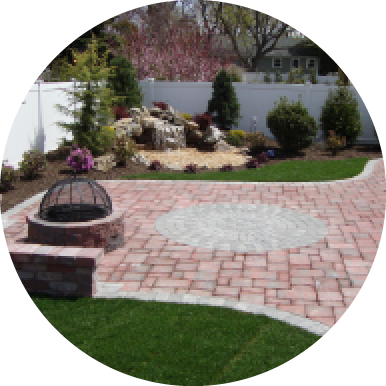 Long Island masonry company, Longo's Landscaping & Masonry is the one-stop solution for all your landscape contracting needs, so call us today to know more about our services and to get a free-estimate. There are several landscaping companies on Long Island to choose from but when you choose Longo's Landscapers, you choose a family business that has integrity, reliability and will deliver prompt and courteous service.